We are interested in how complexity and heterogeneity in physical structure (topography, substrate composition, large woody debris, floodplain forest patterns) affect water distribution, flows, and pollutant transport among channel, floodplain, hyporheic, and groundwater environments in stream, river, wetland, and aquifer systems. Further, we are interested in how such hydrologic patterns interact with human stressors such as climate change, land use change (e.g., urbanization), and engineered hydraulic structures to impact pollutant migration, water quality, and various metrics of human and aquatic ecological health. In general, our approach to research is to accelerate the development of conceptual understanding by encouraging synergistic feedback between quantitative modeling and flume or field measurements. We seek out relationships between driving factors and system response, noting nonlinearities and how they can be used to optimize engineering design and sustainable landscape management. 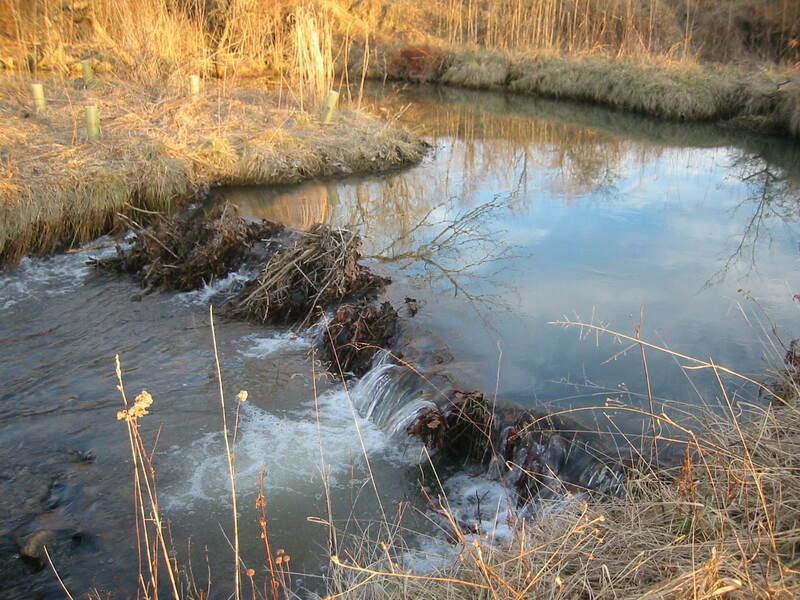 This project is evaluating the potential value of restoring hyporheic exchange and floodplain exchange (creation of riverine wetlands) as a part of stream restoration projects. Key benefits may include toxics attenuation, nutrient processing, and thermal mitigation, benefitting both ecological and human health in river systems. Support: National Science Foundation (ENG-CBET-Environmental Sustainability), Award#1066817; Core Fulbright Scholar Award to Taiwan, "Effect of Floodplain Inundation on River Pollution in Taiwan’s Strong Monsoonal Climate." We have also gotten support from several NSF REU programs. One produced an excellent website with flood experiment results. Jones, C.N., D.T. Scott, C.R. Guth, E.T. Hester, and W.C. Hession. 2015. Seasonal variation in floodplain biogeochemical processing in a restored headwater stream. Environmental Science & Technology 49(22):13190−13198. Hester, E.T., and M.N. Gooseff. 2010. Moving Beyond the Banks: Hyporheic Restoration Is Fundamental to Restoring Ecological Services and Functions of Streams. Environmental Science & Technology 44(5):1521-1525. Link to cover article and feature. This project is working to develop comprehensive yet feasible metrics for quantify environmental sustainability of water resources management within watersheds. Hester, E.T., and J.C. Little. 2013. Measuring environmental sustainability of water in watersheds. Environmental Science & Technology 47(15):8083-8090 Link to cover article and feature. This project is utilizing various hydrologic tools to map hydrologic flowpaths through Appalachian lands impacted by surface coal mining. This will provide information useful for addressing water quality issues in downstream waterways. This project is utilizing numerical modeling and laboratory experiments to evaluate controls on mixing and pollutant attenuation of contaminants in the hyporheic zone beneath riverbed dunes. 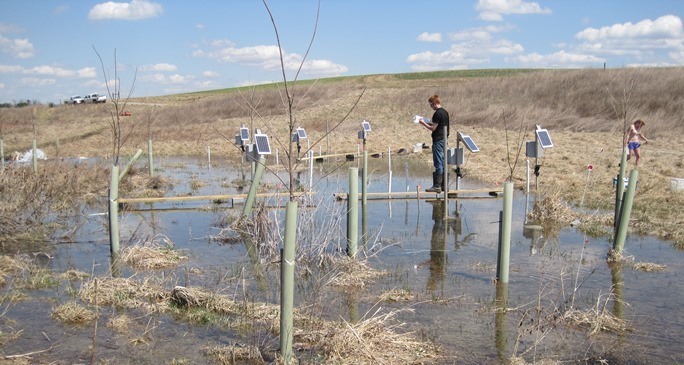 Applied benefits may include accounting for these affects in monitored natural attenuation, or active promotion of beneficial reactions through sustainable practices such as carbon augmentation through riparian planting. This project is evaluating the significance of preferential flow for surface water-groundwater exchange in stream and river systems. We are interested in the exchange of water as well as pollutants. Menichino, G.T., and E.T. Hester. 2015. The effect of macropores on bi-directional exchange between stream channels and bank groundwater. Journal of Hydrology 529(3):830-842. Menichino, G.T., D.T. Scott, and E.T. Hester. 2015. 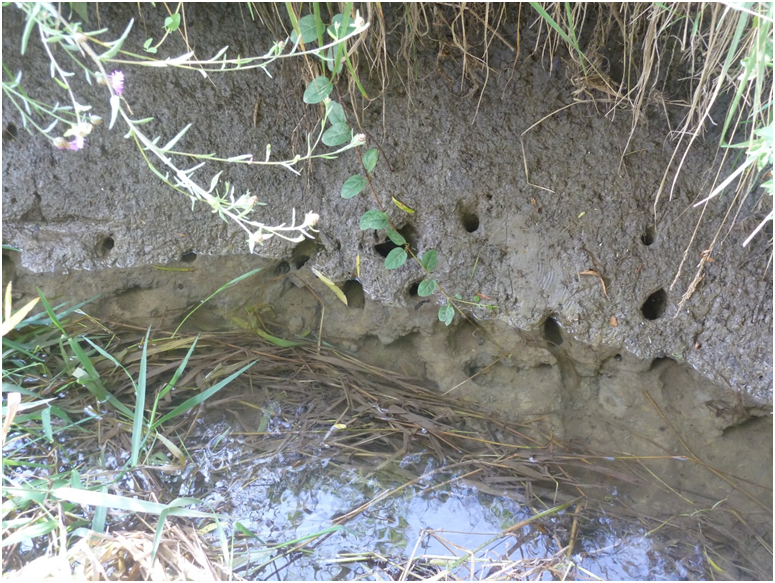 Abundance and dimensions of naturally occurring macropores along stream channels and the effects of artificially constructed large macropores on transient storage. Freshwater Science 4(1):125–138. Invited article to special issue. Menichino, G.T., A.S. Ward, and E.T. Hester. 2014. 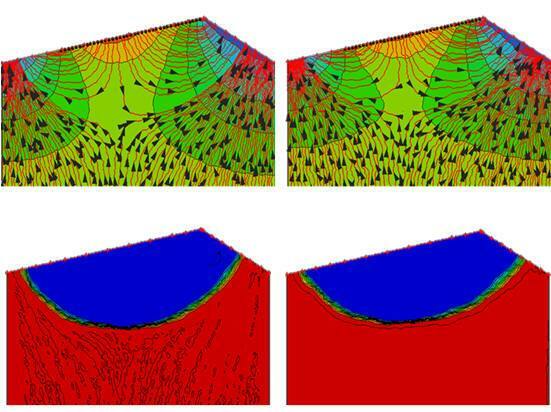 Macropores as preferential flow paths in meander bends. Hydrological Processes 28(3):482-495. Microhydropower, or capturing the energy of water movement on a small scale, is well suited to the mountainous western portion of Virginia, and there is high potential for this form of power generation to be a productive component of green energy. We have recently done a series of feasibility studies for microhydropower facilities for various private clients in Virginia. Our focus has been the hydraulic feasibility, which answers the question whether or not the particular stream has enough flow and head drop on the particular property to generate enough power to meet the needs of the project. If microhydropower becomes more widespread, there may be concerns of cumulative impacts on aquatic ecology, thus we have also done some ecological impact assessments of client projects. This project is measuring the thermal impact of heated runoff from parking lots during summer storms in receiving streams and wetlands. 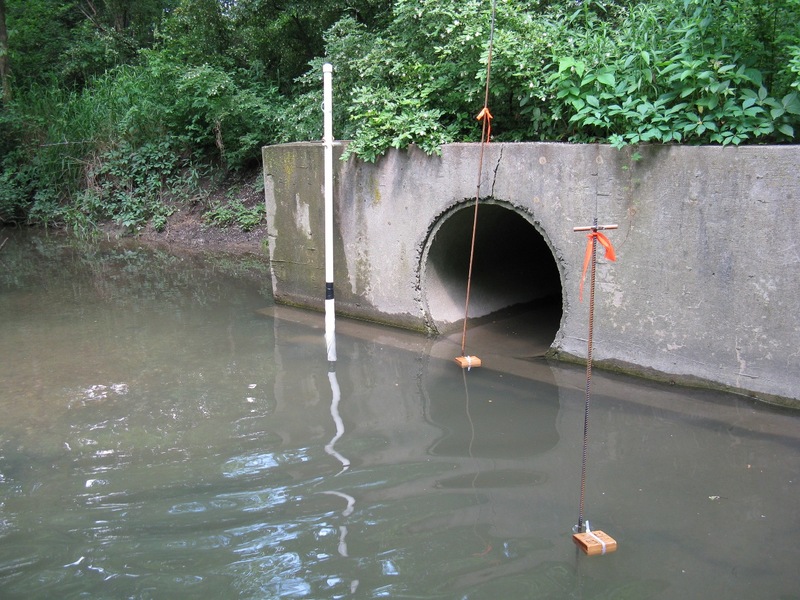 This study will help understand how urbanization impacts aquatic organisms, which are often quite sensitive to thermal perturbations. The project will also help understand how streams and wetlands work, but providing insight into how perturbations propagate through aquatic systems. Publications: Hester, E.T., and K.S. Bauman. 2013. 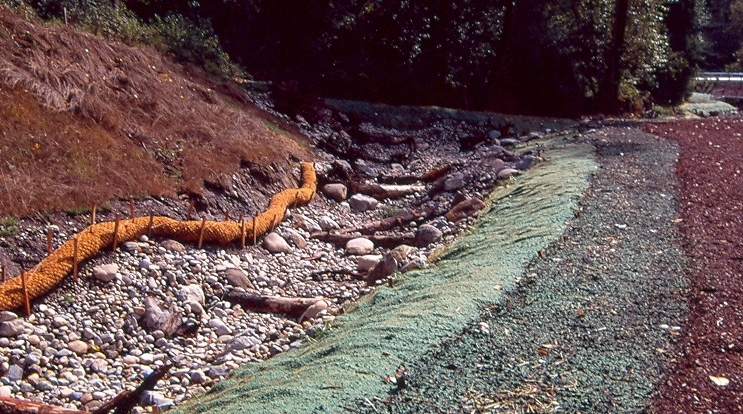 Stream and retention pond thermal response to heated summer runoff from urban impervious surfaces. Journal of the American Water Resources Association 49(2):328-342. 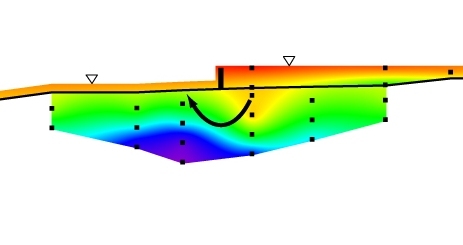 This project is utilizing computational fluid dynamics models (Ansys CFX) to evaluate the overarching control of hydraulic conductivity of sediments on where and when in-stream structure induced hyporheic heat exchange is significant for subsurface thermal heterogeneity and surface water temperature. We are also studying the onset of non-Darcy flow in coarser sediments and its significance for hyporheic processes. Publications: Menichino, G.T., and E.T. Hester. 2014. Hydraulic and thermal effects of in-stream structure-induced hyporheic exchange across a range of hydraulic conductivities. Water Resources Research 50(6):4643-4661.